This weekend, around 200 students and professionals across different disciplines will team up to design, develop and pitch healthcare innovations in a 48-hour hackathon. 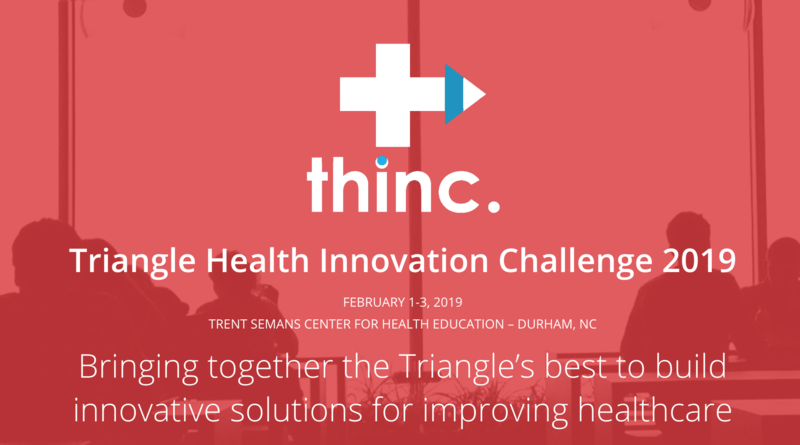 The Triangle Health Innovation Challenge (THInC) is a concept similar to Startup Weekend, but exclusively focusing on health and medicine. The annual event, now in its third year, is organized by students from Duke University, UNC Chapel Hill and NC State University. Students will collaborate to tackle “pain points” in healthcare. Last year’s program addressed problems ranging from addiction and behavioral management to clinical trials enrollment to price transparency to EMS logistics and dementia diagnostics. Some of the solutions that teams came up with include a resource platform of government services, an AI-powered diagnostic toolkit, an addiction support group app, a Yelp-like platform for medicine and an overdose prevention program. Participants compete for first, second and third-place prizes of $2,000, $1,500 and $1,000, respectively. Past THInC winners include a wearable physical therapy activity tracker, an algorithm for clinical scheduling, a VR tool for veterans struggling with PTSD, an app aiming to prevent heart failure readmissions and an EHR-integrated Apple Watch notification app. The program begins Friday evening at Duke’s Semans Center for Health Education with dinner and a keynote address from Jean Wright, VP and chief innovation officer at Atrium Health in Charlotte.